Your posture is important for a number of reasons, not least of which is helping to improve or prevent back pain. Your spine is the central pillar of your body, and slouching adds additional pressure to it. This pressure will lead to persistent pain and make it harder to improve your posture in the long run. 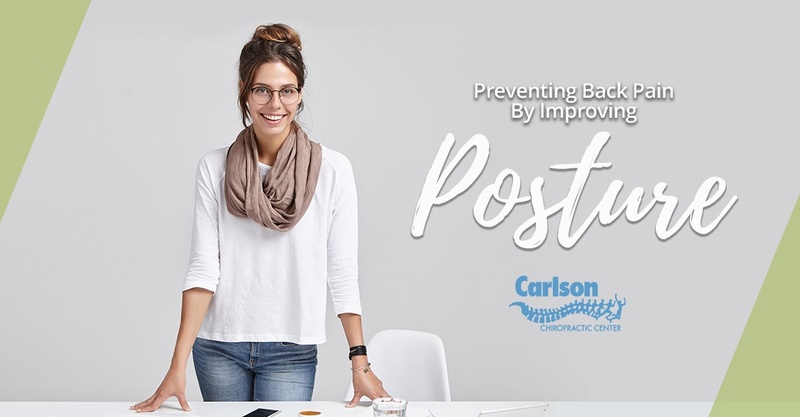 Better posture also gives you more confidence, helps you breathe more fully and comfortably, helps your circulation, and helps your joints and muscles work better. Poor posture can do more than just cause back pain. Bad posture can actually change the curve of your spine, making it much more difficult to improve your posture as time passes. Your spine is what gives your body its overall support, so healthy posture will affect things like your balance, your strength, and your ability to engage in everyday physical activities. Along with aching and slouching, you also risk disc degeneration the longer you have bad posture, which can become a serious and permanent problem. How do you improve your posture? Depending on the cause of your posture issues, it can be harder for some than for others. However, we can offer you some simple tips that will work for most people. There’s a reason you’ve been told to stand up straight since you were a little kid, and it’s not just for appearances. Put your shoulders back and hold your head up, so that you’re looking straight ahead. This straightens your spine and reduces the painful pressure on troublesome aching areas of your back. If you lift heavy objects often, whether it’s at work, at home, or at the gym, it’s important to lift properly. Lifting with your back is going to damage the sensitive muscles, nerves and bones in your spine. Lifting with your legs from a squatting position, with a straight and strong back, is important in maintaining the health of your whole body. If you work in an office, it’s important that your spine is supported. The majority of standard office chairs don’t provide the best back support, even if they make claims about being “ergonomically designed”. Get a separate back support pad that can be moved and adjusted to fit your unique needs. Take frequent breaks from your desk, gently stretch on a regular basis, and consider other helpful options such as a standing desk or a kneeling chair. Whatever the cause of your physical pain might be, talk to Carlson Chiropractic. We can help you with manual adjustments, electrical muscle stimulation, and personally tailored rehabilitation exercises. We can even offer diet plans to help improve your health and wellbeing, speeding up your treatment and giving back the quality of life you deserve. Suffering from back pain and curious about non-surgical relief? 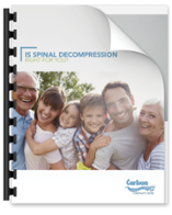 Click below to download our Consumer Guide to Spinal Decompression!